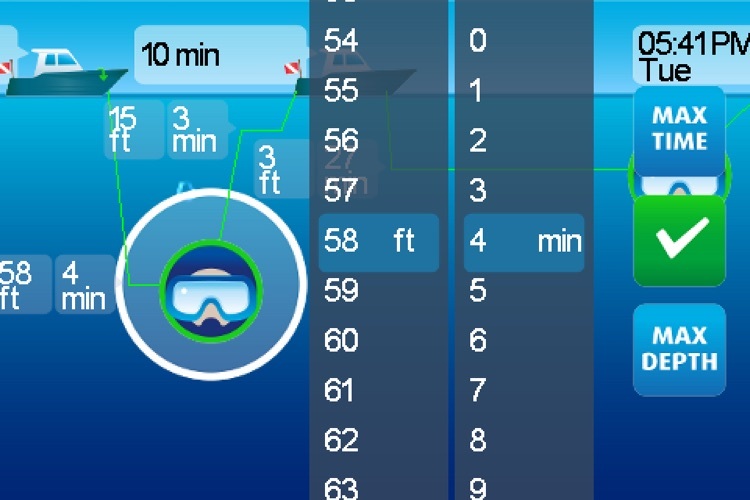 Ideal app for a beginner diver. 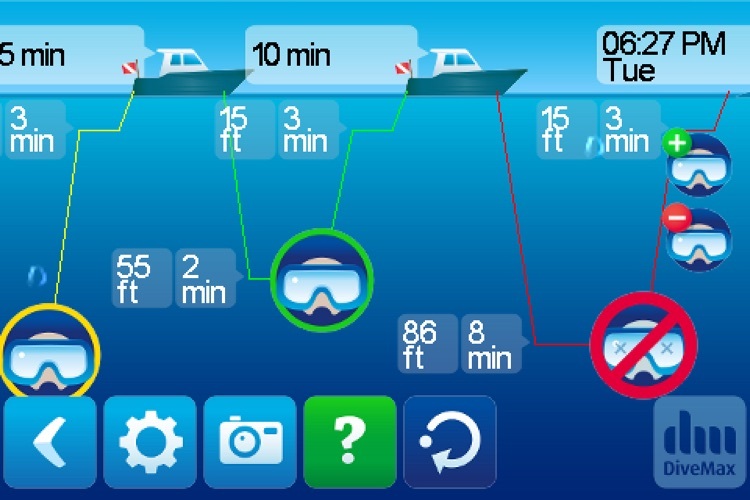 DiveMax is an incredibly simple dive planner. 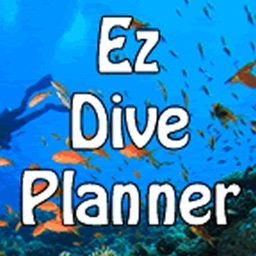 "Perfect for recreational divers planning on doing multiple dives. 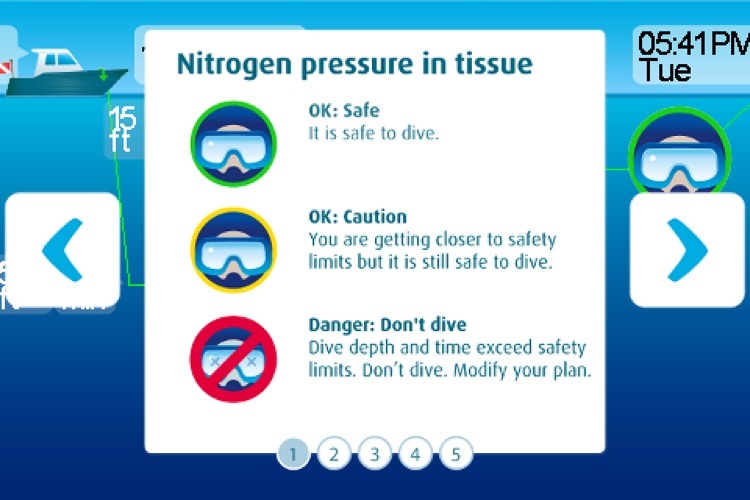 "Best UI i've seen in any dive planner." "Amazing! 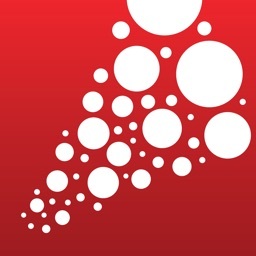 Great app guys. Its simple and fast, just the way i like it! 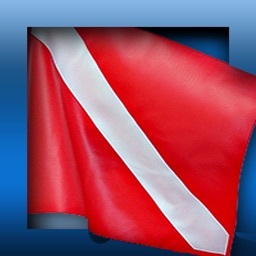 :)"
dives. 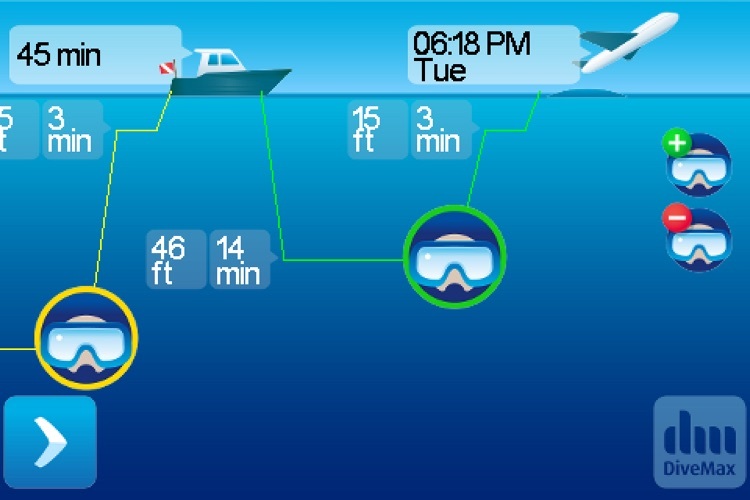 It also allows the user to modify the plan in real-time. 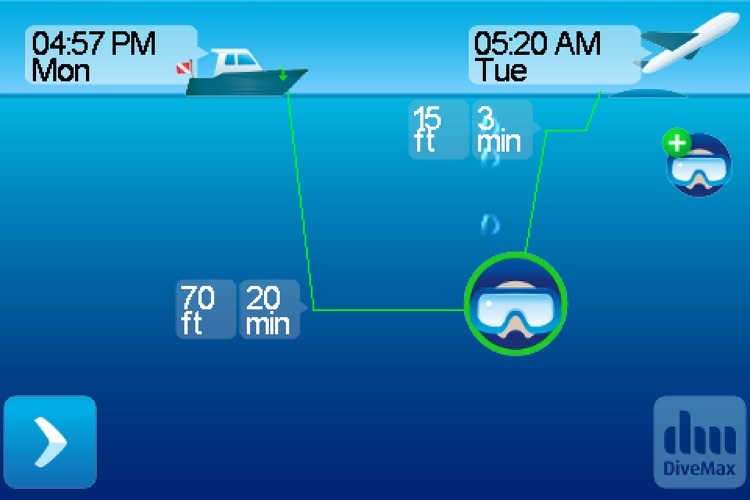 DiveMax® automatically calculates the effects on the subsequent dives. and enjoy the break until it is time to dive again. 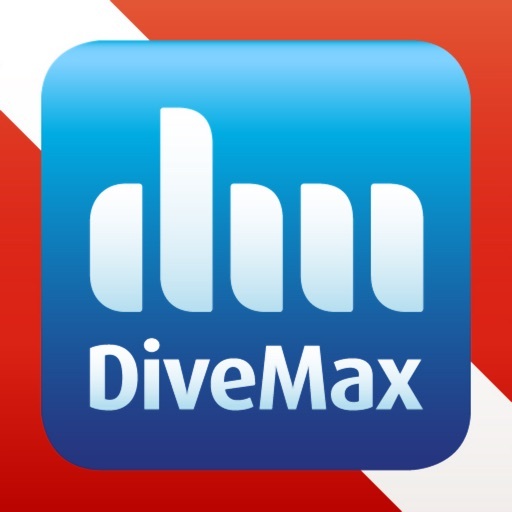 In November 2012, DiveMax® won the Quality Innovation of the Year Competition. 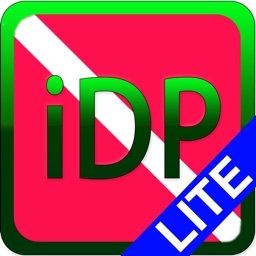 or use cost of or inability to use the DiveMax® Software. 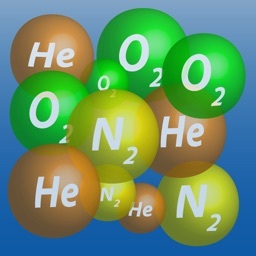 the use of or inability to use the DiveMax® Software.